On a very wet Wednesday evening in February, we heard from three fascinating speakers in our Freedom of information? panel discussion on orderly and disorderly methods of information access and release, government secrecy and what needs to change. 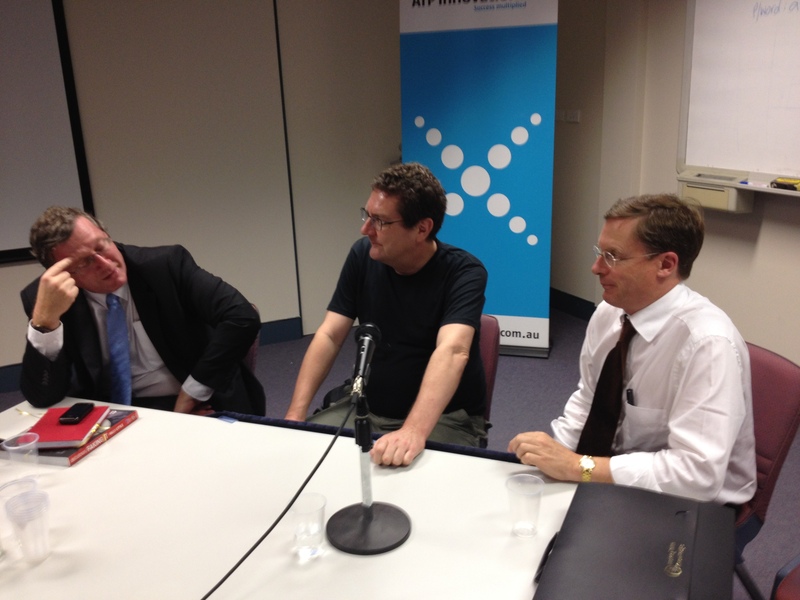 Our speakers were Stilgherrian, Dr Philip Dorling and Tim Robinson. The event was chaired by Cassie Findlay. This entry was posted in Report and tagged archives, FOI, hactivism, leaking, legislation, privacy, recordkeeping, whistleblowing, wikileaks. Bookmark the permalink.